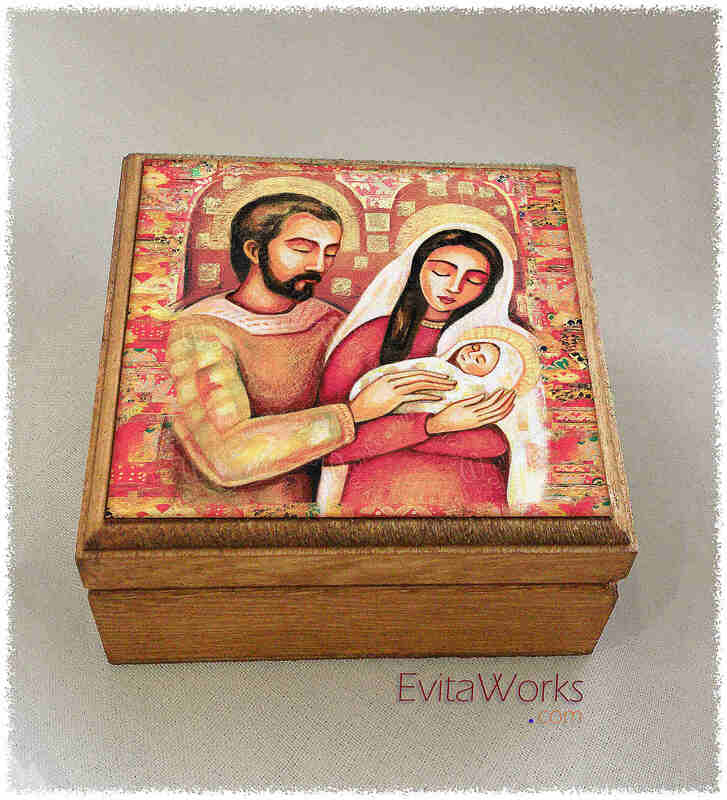 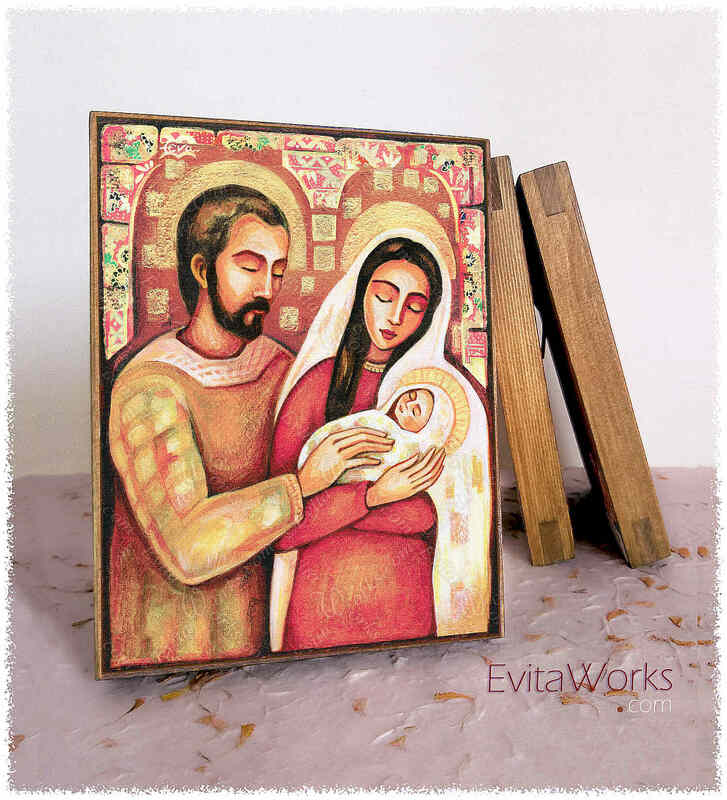 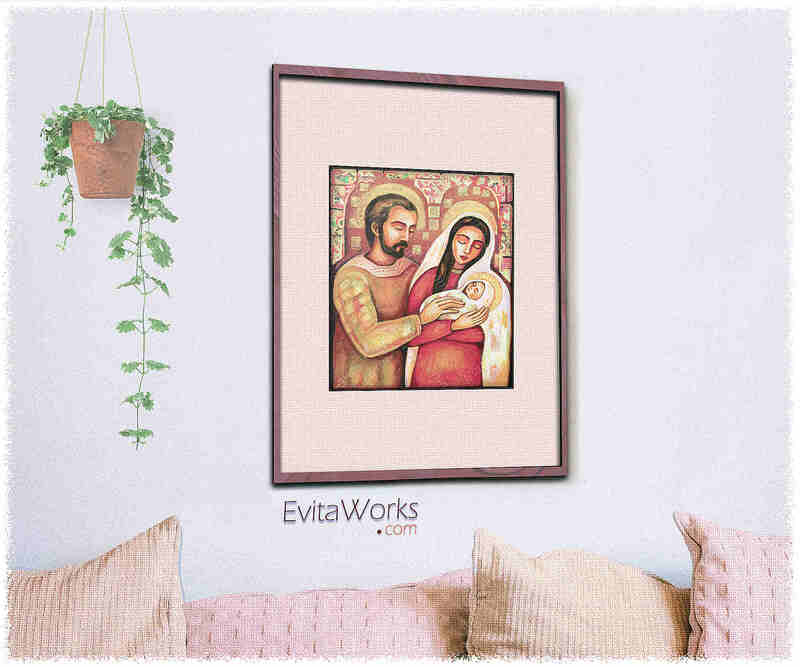 This item is based on our original painting, named “Holy Family”. 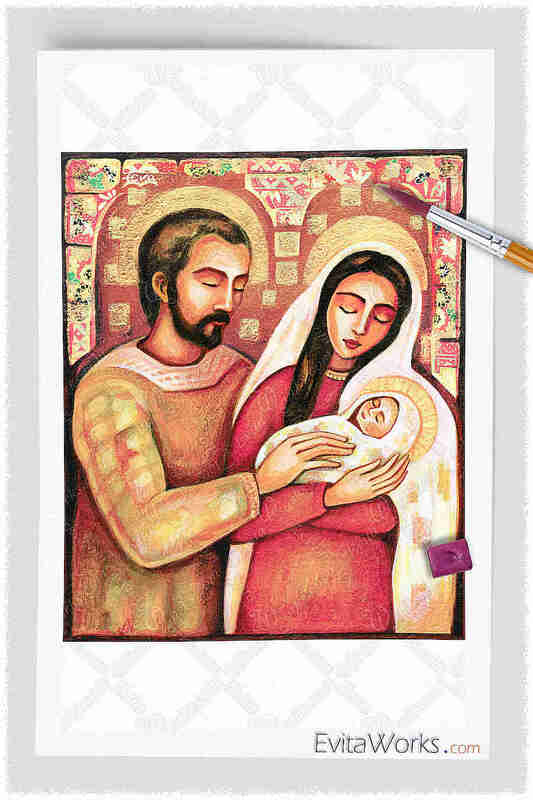 It depicts three halo-glowing, beatified figures in ancient garb; a lovingly and sublime father and mother, who is gently holding a sleeping infant in her arms (Joseph, Mary, baby Jesus). 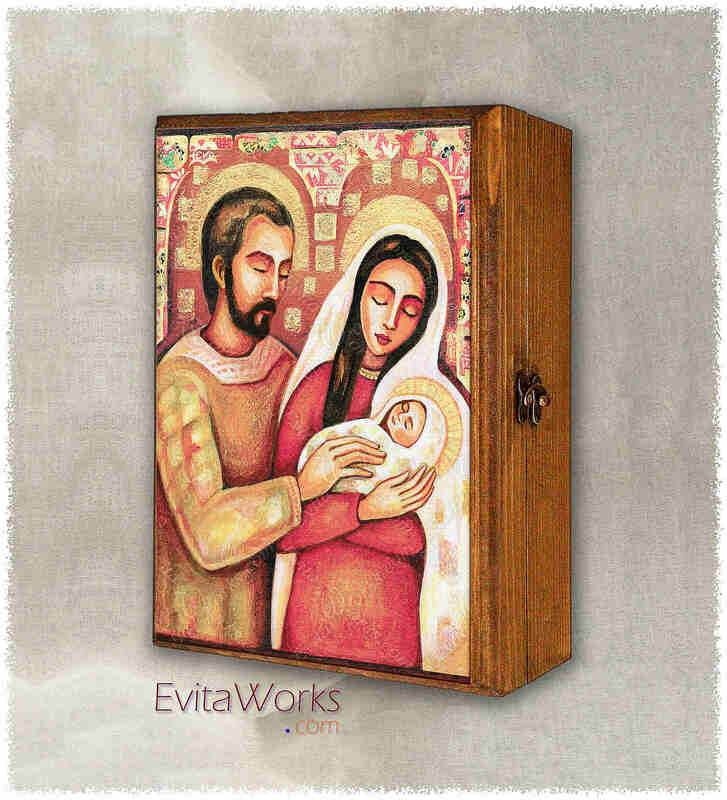 It was painted in a non-traditional style, resembling Eastern Orthodox Iconography. 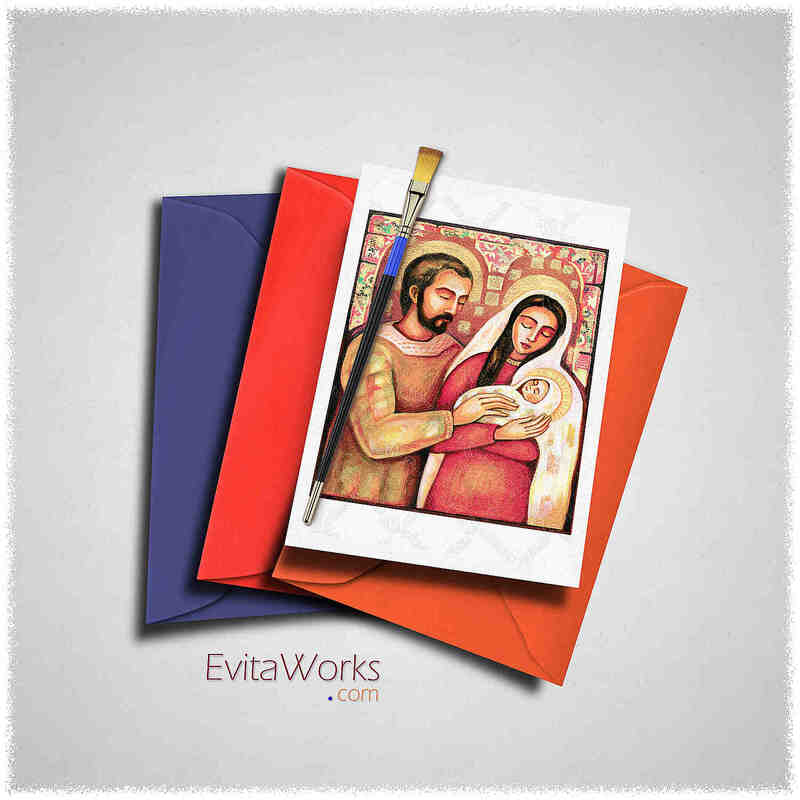 The original was painted with acrylic on paper, in vivid color nuances of red, ochre, black.